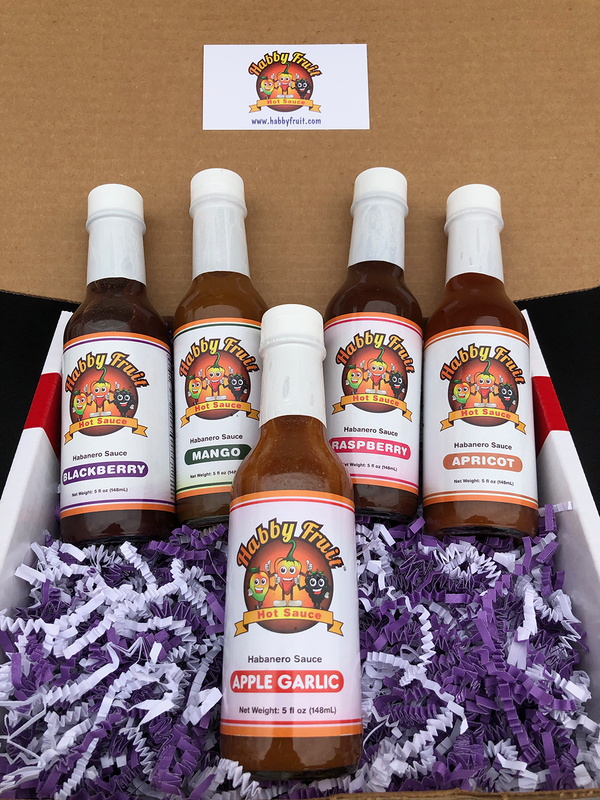 Habby Fruit Apple Garlic hot sauce is the newest flavor in our delicious hot sauce lineup and is quickly receiving great compliments among garlic lovers and hot sauce connoisseurs everywhere. We are excited to bring this to you as we feel it is one of our most flavorful sauces that will be sure to satisfy any garlic lover! Our Apple Garlic hot sauce has the perfect blend of apples, garlic and habanero peppers that creates a unique flavor that will leave you wanting more! We mixed in a couple of other key ingredients to create this garlic lovers hot sauce! 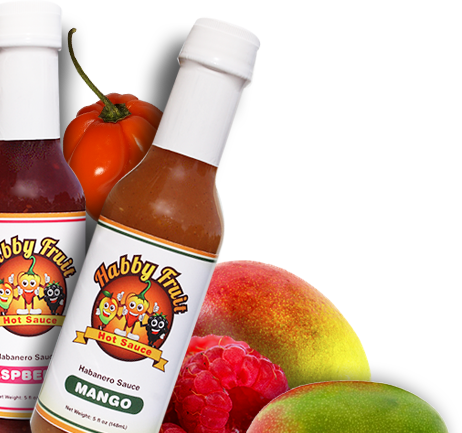 We are sure you will find the new Habby Fruit Apple Garlic hot sauce to be a very tasty addition to our existing family of hot sauces. It has a strong garlic presence and a nice level of heat to kick up the flavor on any dish it is added to! Be sure to try this on any of your favorite dishes and watch them come to life! 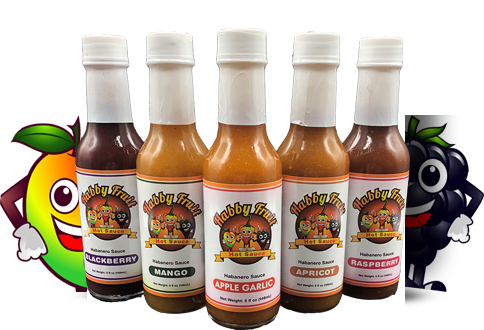 Habby Fruit Apple Garlic hot sauce is a diverse hot sauce that we would suggest trying on your chicken, pork, steak, eggs, pastas, pizza, subs and any other of your favorite foods! 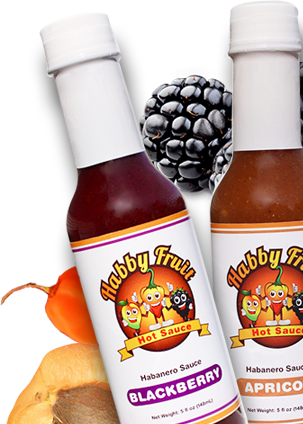 We hope you give our Habby Fruit Apple Garlic hot sauce a try! We feel confident enough to say that you won’t be disappointed. Feel free to send us pictures and recipe ideas and we will add them to our website for others to enjoy as well.